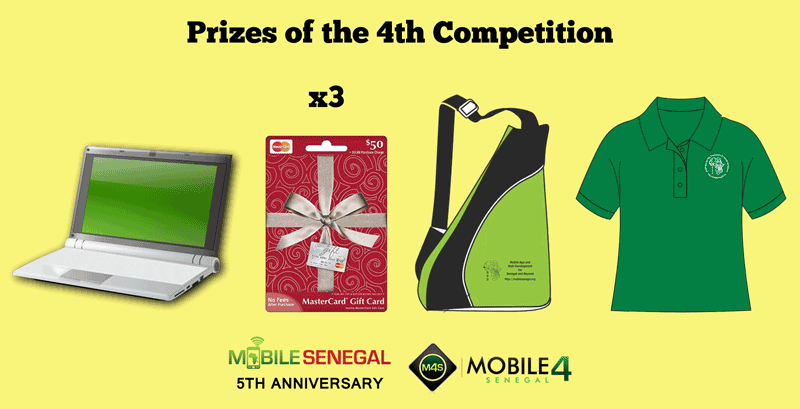 Welcome to our 4th Mobile Development Competition by Mobile Senegal and Mobile 4 Senegal! The competition was administered through Github. 54 students / 18 teams participated in the competition. The finalists were: Casa Tour, an app from developers of Ziguinchor on tourism in Casamance; SenCivique, an app on how to be a new type of Senegalese (NTS) also from developers of Ziguinchor; and Jarmode, an app that collects models and maps tailors of Dakar developed by a team from Dakar. And the winner was Jarmode! Congratulations! The competition was organized by stages (1 to 5) such that teams understand the process to develop apps. We emphasized good software engineering practices and required teams to do 2 sprints to develop their apps. 6 teams made it to the finish line. 8 teams stopped at Phase 1 (Idea and benchmarking). 2 teams gave up at phase 2 (Requirements) and phase 3 (Design and list of testers). We have been reviewing quite a number apps over the years. We mentored developers after the 2012 MobileSenegal competition and had the pleasure, after 3 years of sustained work, to see 5 Senegalese apps released in the Nokia Store (4) and Google Play (1). We are currently running an App Clinic to permit developers to improve their apps. We often observed things that developers have overlooked and their apps could be tremendously improved if they would do basic preparation and planning (even before they write one line of code!) and understand UI/UX and quality assurance practices and techniques. In continuing our efforts to promote the development of quality mobile apps in Senegal and to celebrate our 5 years, we decided to launch a competition. This competition aims to be more than a regular competition as it is structured in phases and guided. It will permit you to develop an app using the right tools and practices. These tools and practices are aligned with the ones of the industry. You will be judged on the app, the process and all the artifacts you will produce to develop this app. You will learn a lot, we promise! Take part of the journey now! 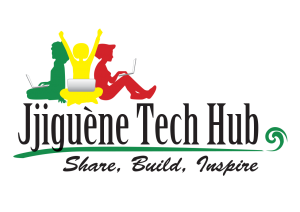 We encourage you to like our Facebook page to get the latest news on the competition and to contact us at mobilesenegal AT gmail.com. We want to see good apps developed in Senegal and, as professionals in mobile and education, we propose a new model that we hope can achieve this goal. We are organizing this competition completely voluntary because we believe there is a need and because we are passionate about mobile and sharing. The apps will remain your solely property. You will not submit code in the competition – only requirements, design, and testing documents, as well as screenshots, videos and executable files. You want to learn about mobile app development, about software engineering, then join us now! Let’s go back to the basics and focus on quality apps before even talking about business models! A simple and local app that can be used and useful for the population in Senegal. The app can be in French, English, Wolof… We recommend you to do simple apps that focus on a small number of features. You will need to work in phases and code in sprints. We want to see improvements in your work. We want nice-looking apps! Look is important in the app world! You will develop a mobile app using web technology. Your jQuery Mobile web site will be packaged to an Android app using a tool such as Apache Cordova. We are interested in the app, not the mobile web site! Everybody will be using the same technology such that it is fair! You are a developer in Senegal and you are part of a team of 3 members. Submissions are in French or a local language. July 17th – Description and benchmarking of the app, and teams. Use this form to submit your work. July 25th – Requirements. The submissions will be done directly in the github and the Google Docs that were created for you. We are waiting for the product backlog composed of the user stories that describe the features and constraints of / on your app. August 5th – Design and list of testers. The submission format will be described later on. August 14th – First submission of the apk. Sprint 1 takes place from 8/7 to 8/14. The submission format will be described later on. August 17th – Bug reports of the testers. The submission format will be described later on. August 21st – Final submission of the apk. Final report of the testers. Sprint 2 takes place from 8/14 to 8/21. The submission format will be described later on. The reception will take place on August 23rd at the Adenauer Foundation in Dakar. Thank you for their posts promoting the contest! All decisions of the organizers and judges are final. By entering, participants warrant and represent that they agree to be bound by these contest rules and the final decisions.